Get picked up from your hotel in Sylhet at 8am by your guide and transfer to Ratargul Swamp Forest. Ratargul is a fresh water swamp area situated near the Goain River. Discover the area’s freshwater swamp forests, or “flooded forests,” which are inundated by the local rivers on a seasonal basis. The forest typically gets submerged under 20 to 30 feet (6 to 9 meters) of water in some parts of the rainy season. The waters are populated by numerous fresh, and the area is also home to a number of snakes, monkeys, lizards, insects & birds. You may even see a vulture or eagle if you are lucky. Later in the day you’ll enjoy lunch at a local restaurant before continuing to Bisnakandi. This village, located in Rustompur Union, is known as a site where multiple layers of the nearby hills converge in the center of a local river. In the rainy season, you’ll also witness dark clouds hugging the mountain. 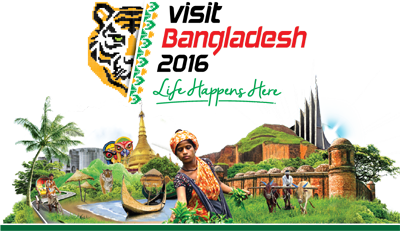 When the tour concludes, you will be dropped off at your hotel in Sreemangal or Sylhet. Boat ride in Bisnakandi and Ratargul.